Here in Germany, the French Horn has been proclaimed Instrument of the Year 2015. 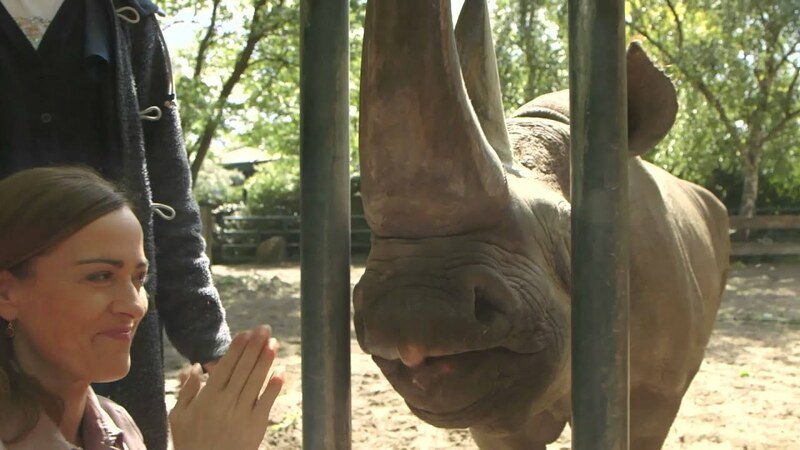 Now, my horn makes an appearance on every episode of Sarah’s Music but I wanted to do something special to mark this year and when the opportunity came up of doing a tour of all the horned animals at the Berlin Zoo with my friend Dr Andreas Ochs, I thought this would make a good basis for one of our episodes. It was definitely a first for me doing the introduction with a rhino…I got thoroughly slobbered on by Ine the Rhino who has two rather magnificent horns of her own! In this episode you can get an idea of how a French horn like mine evolved from the animal horn to the concert stage, I have included some links below as I am sure you will want to know more details…:-) We all had fun at the Zoo and I loved playing our little barn concert with my friends and fellow horn players, Thomas Jordans and Klaus Wallendorf. 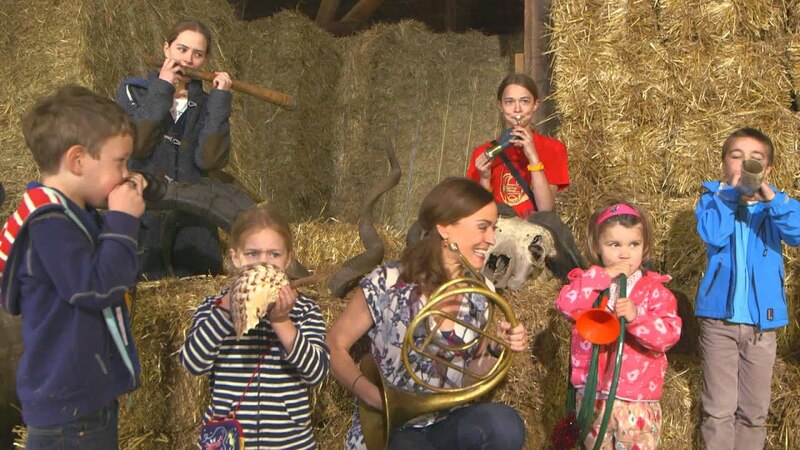 It was a family affair and their children showed how they take after their fathers by playing loudest during the Horn Challenge! The Berlin Philharmonic Horn Marathon Day at the Philharmonie was also a perfect opportunity to show you how we horn players like to get together and play our favourite instrument. Horn is really much more fun in a group and the more the merrier, as you can see at the end in the Flashmob. Well, we were more like just a mob because we took so long to get organized and tape the music onto the backs of the person in front of us, so it wasn’t really a surprise flash, more like a little concert. I had the best human music stand of all – you’ll have to watch to see what I mean! 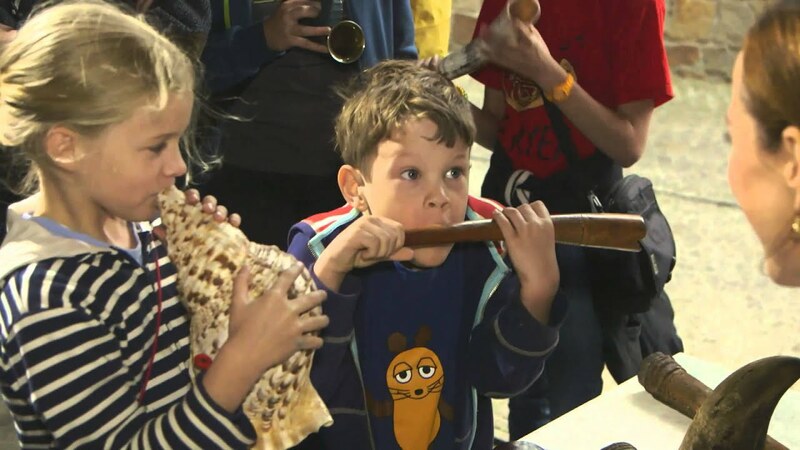 Clemi was also our very first Sarah´s Music Horn Challenge, have a look here. I hope you enjoy this episode and will agree with us horn players that our instrument really does deserve the honour of being Instrument of the Year 2015! Horn Concert in the Barn 2. Sarah and the Instrument of the Year 2015!